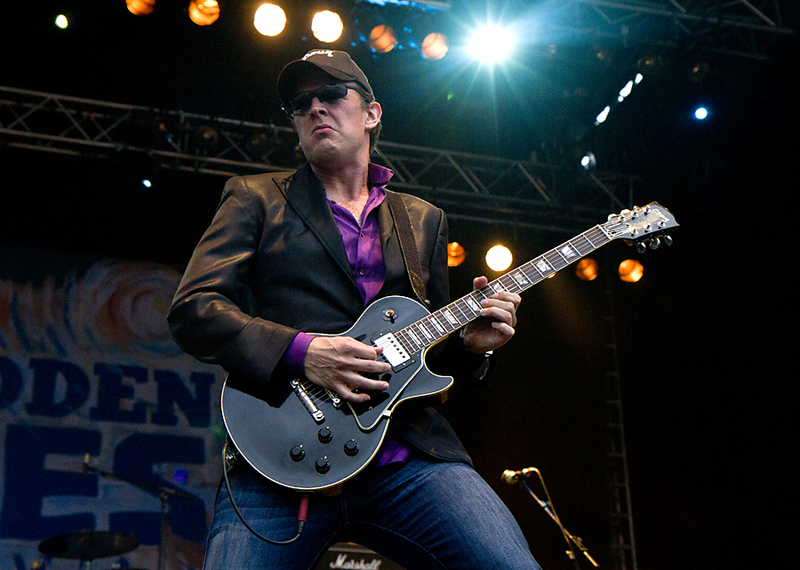 Thursday the 25th blues festival at Notodden starts, with headliners like ZZ Top, Paul Rodgers, Roomful Of Blues, Jonny Lang, Kenny Wayne Shepherd and many other great blues artists. Here are some of the artists from 2011 while we are counting down for this year’s festival. 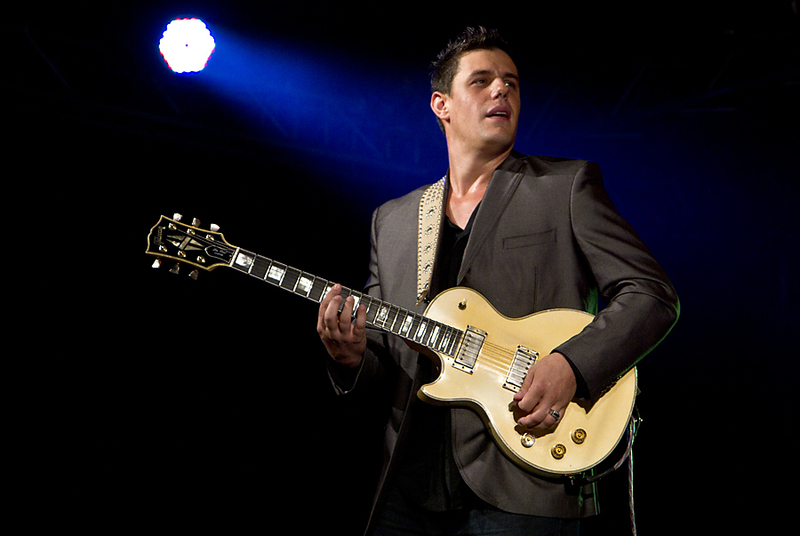 The winner of that year’s Blues Prize was Kid Andersen (picture above). 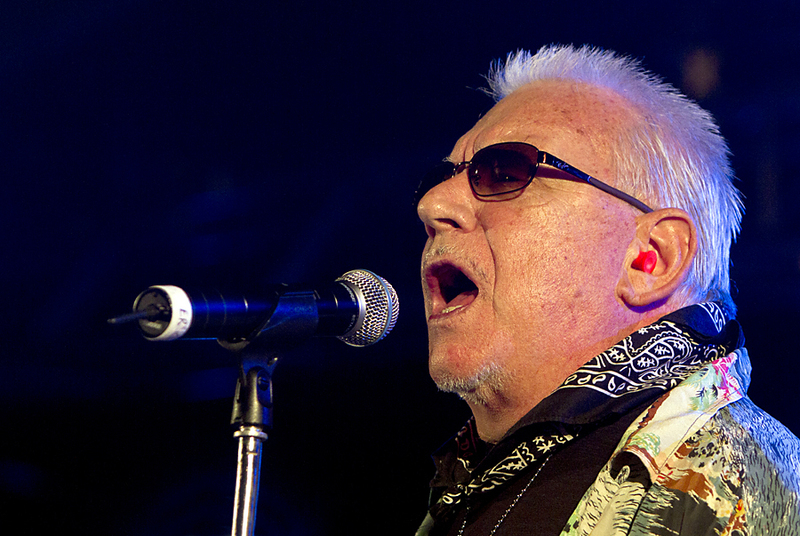 One of the headliners last year, and also one of the best acts, was Eric Burdon. He is 70 years old, but still has that dynamite voice he had in the 60s. He did a great show, and I was really impressed both by his voice and his stamina. Two female artists who has been there before, Beth Hart and Dana Fuchs, were both voted back by the audience, and true to form they both did great. 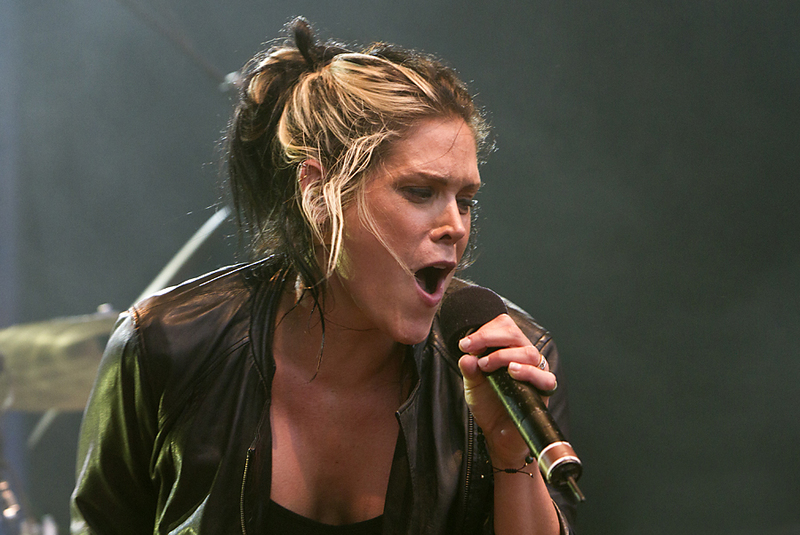 Dana Fuchs with two packed shows, and Beth Hart at the open air show at Brygga Saturday afternoon. 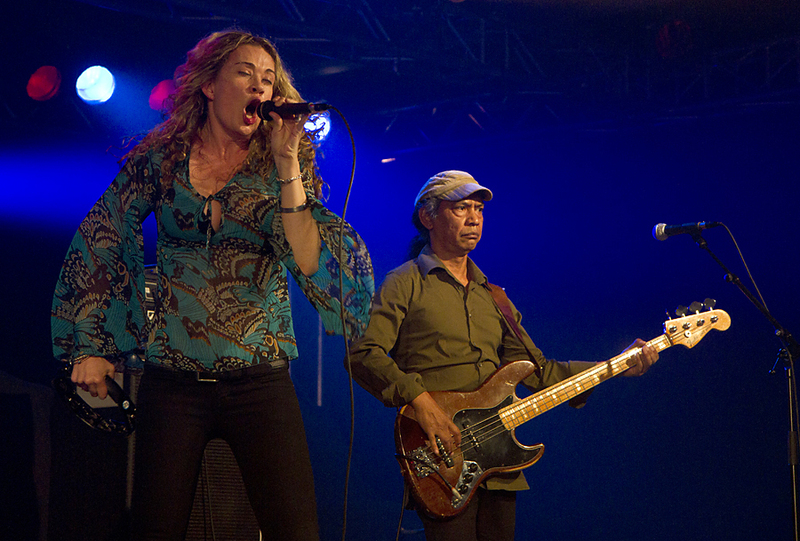 Trampled Under Foot are another popular band who have been to Notodden before, They won the Blues Challenge some years ago, and are a great live band, consisting of two brothers an sister Danielle. 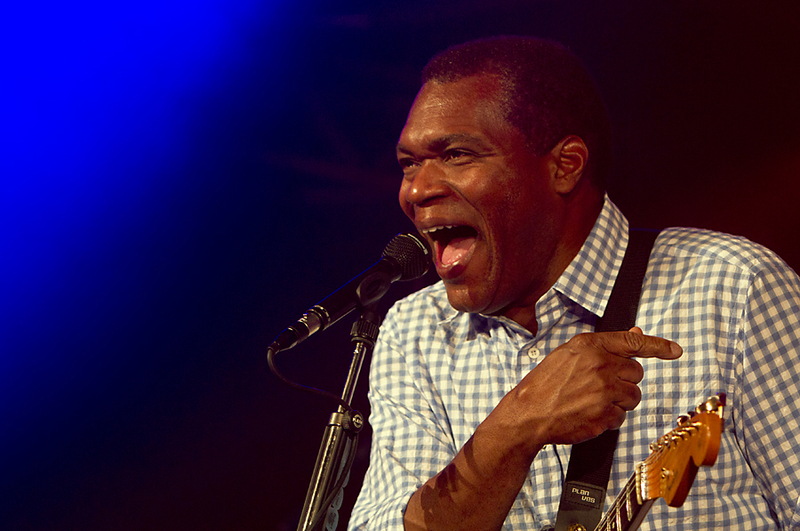 Robert Cray played Notodden in the mid 90s, and personally I liked his gig in 2011 better. 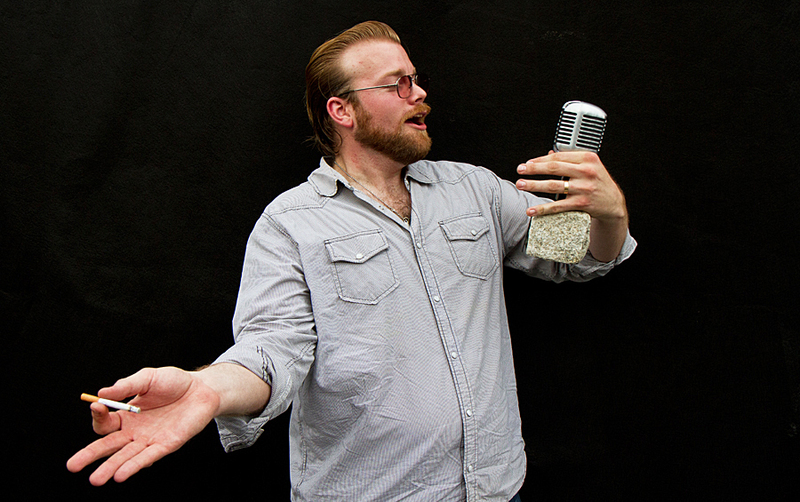 He isn’t the most vivid performer, but his playing is rock solid, and his voice is smooth. Always a pleasure to hear him play. 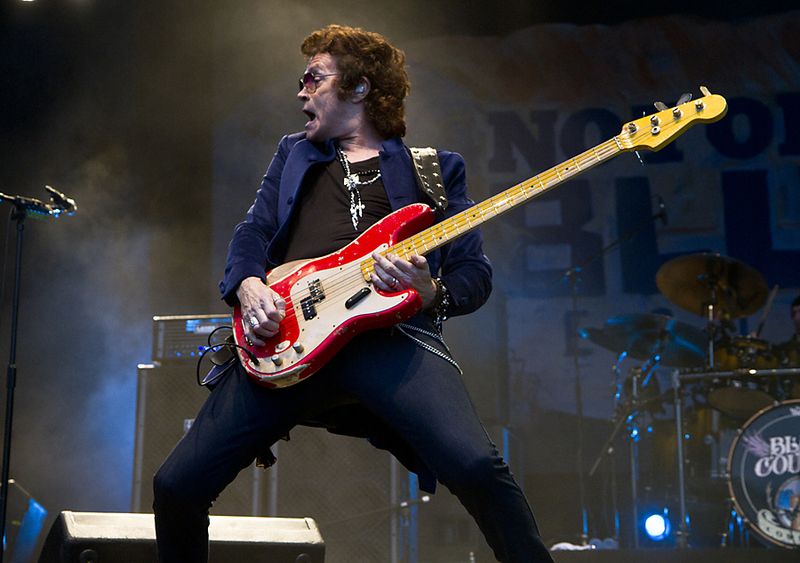 One of the roughest acts let year was Black Country Communion with Joe Bonamassa and Glenn Hughes as the front guys, and with the son of Led Zeppelin drummer Jon Bonham , Jason, on drums. Black Country Commiunion also played the open air show at Brygga to enthusiastic response from the audience. One of the most charming artists, and also the one who did most for the audience, was Lil’ Ed. He performed in his red suit and hat, and was received well by the audience. He was one of my favorites. 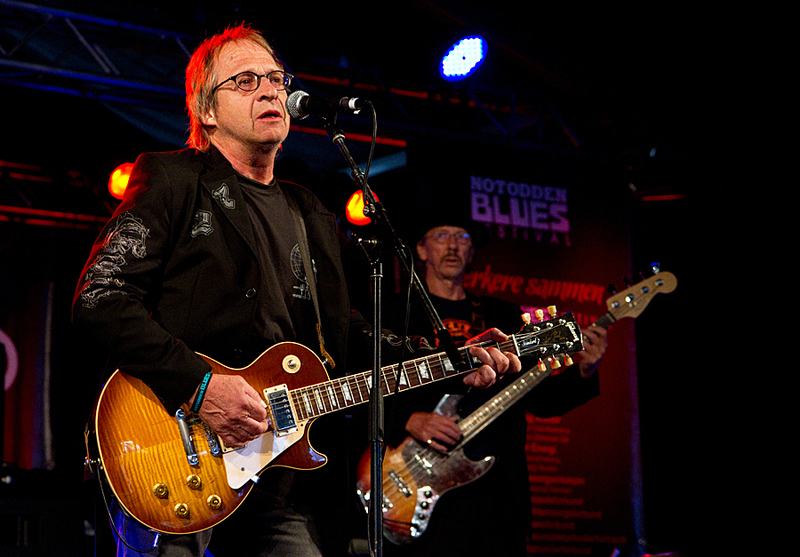 Besides Kid Andersen, the winner of the yearly Blues Prize, Vidar Busk and newcomer Hans Bolandsaas also played at the festival. 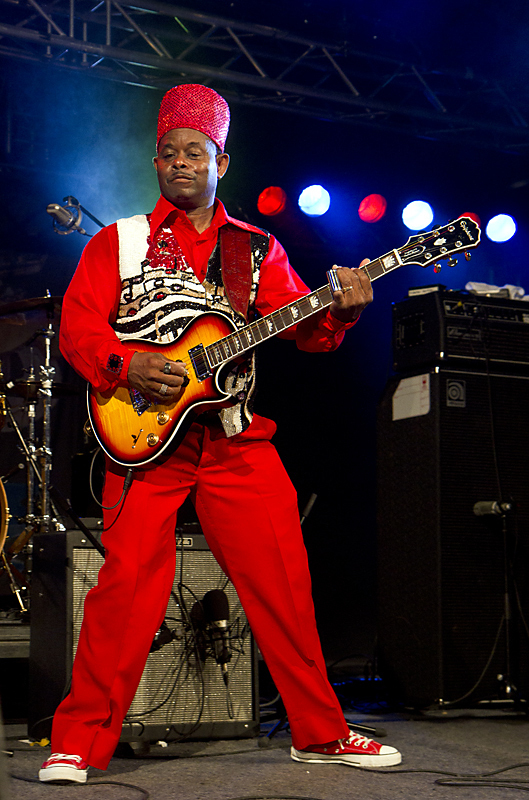 Bolandsaas has played for many years, but he has just recently come to fame when he won the TV-show X Factor in 2010. 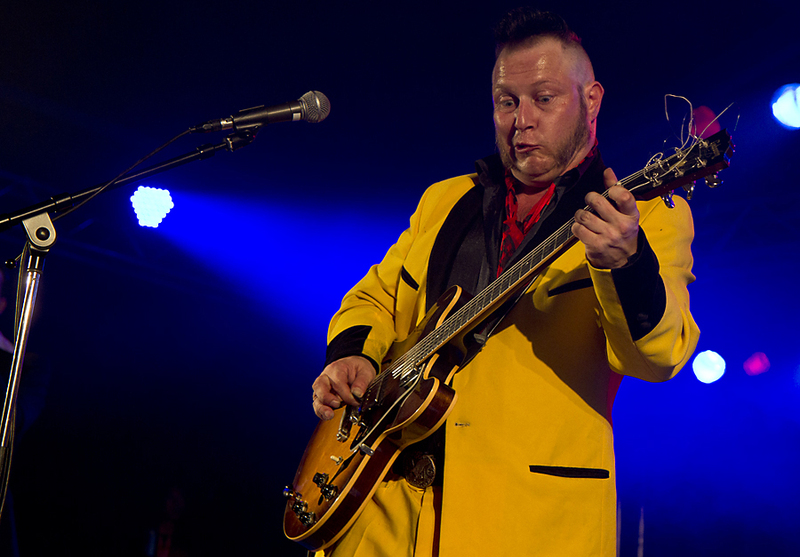 Vidar Busk has been one of the best Norwgian blues artists since the late 90s, and he is still solid as ever. he didn’t win any fashion prizes in his yellow suit, but he gets lots of posing for flamboyance on stage. The festival closes every year with a Sunday afternoon concert, and this time it was the duo Jan Erik Vold and Kaare Virud. They released an LP with Dylan songs in Norwegian in the 60s, and t Notodden they did a 2011 version of these songs. 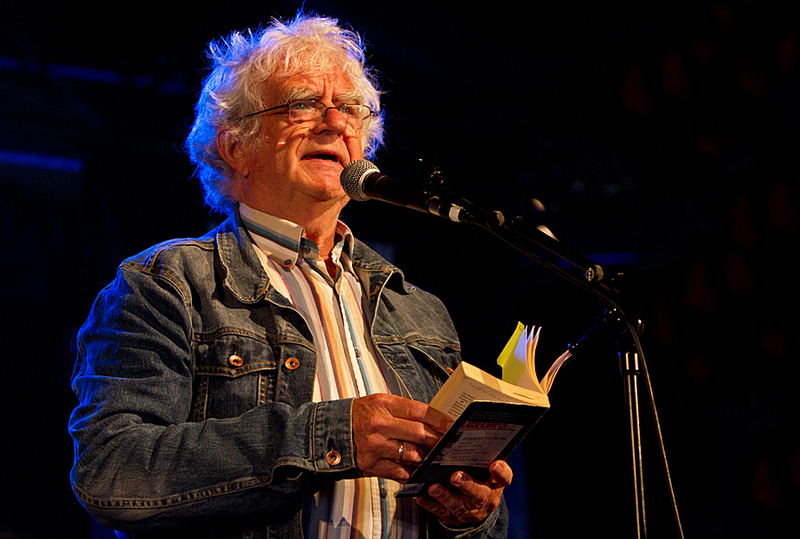 Great fun, great translations, and a prefect way to end last year’s festival at Notodden. All pictures are © Per Ole Hagen and may not be used without written consent. 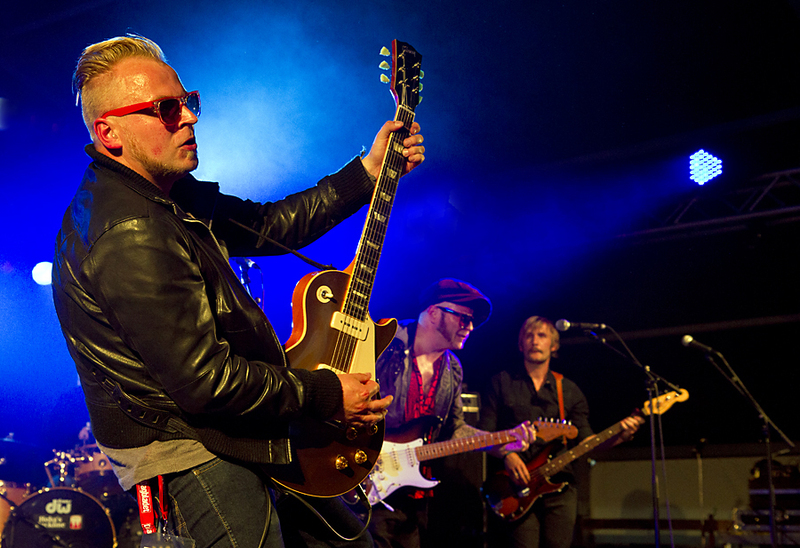 This entry was posted in Concert, Festival and tagged Beth Hart, Black Country Communion, blues, Dana Fuchs, Eric Burdon, festival, Jan Erik Vold, Kåre Virtus, Kid Andersen, Notodden, Robert Cray, Trampled Under Foot., Vidar Busk by Per Ole Hagen. Bookmark the permalink.